Earthy. Intriguing. Captivating. When I took this photograph, I was mesmerized by its alluring complexity. Life has an amazing way of creating symbiotic relationships. Humans don’t thrive in isolation, and neither do the sentinels of our world’s wildernesses. On a walk, I saw many trees, but none captured the incredible intricacy and mystery of the forest world like this one. This image has an enduring tactile quality, exciting the senses and exuding a calming presence. 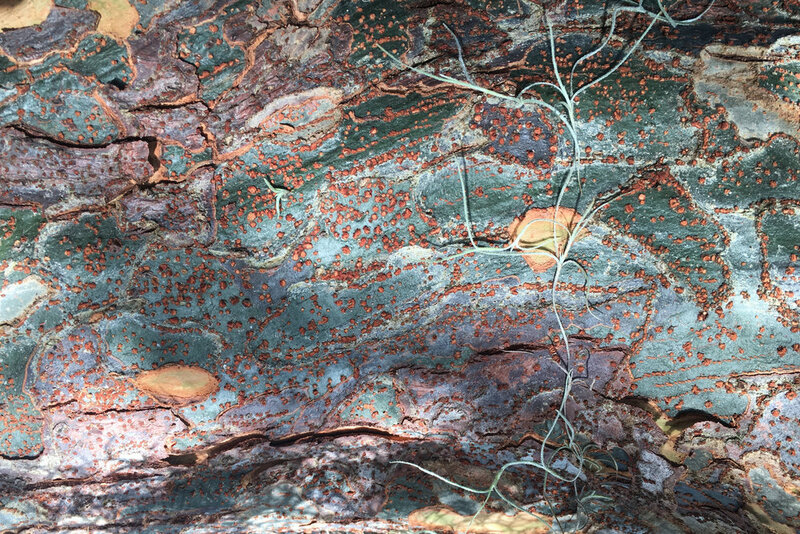 Lichen and fungus combine their colors and textures on a palette of tree bark to create a compelling abstract that is both thought-provoking and incredibly beautiful.